Ep 75: Strength & Speed's first episode with everyone in the same room and things got a little crazy. Joining Evan and Brenna for this episode is Nathan "NaPalm" Palmer (CTG Pro and Team Captain of Saddle Up from Spartan Ultimate Team Challenge), Christina "HB" Armstrong (CTG Pro and Death Race Finisher) and Daniel Leonard (CTG Family and pacer for Endure The Gauntlet). The group talks Pro Team takeover and Evan announces his mind numbing 2019 goals. Then things get really crazy as the team shares personal secrets. Episode brought to you by the Conquer The Gauntlet Pro Team. Ep 74: OCB Pro Physique Competitor and OCRWC Qualifier Heather Cox talks about her new passion for physique based sports but why she still comes back to OCR. Evan and Brenna talk to her about diet, training, doing both sports, her upcoming race schedule and Evan recommends the best bodybuilding documentary of all time. Episode brought to you by Harbinger Fitness, makers of gym training accessories, weight vests, dip belts, thick bar grips and more. Basically everything you need for OCR strength training this off season. Ep 73: 5x American Ninja Warrior finalist and 2x Top Five at OCR World Championships, Michelle Warnky, joins Evan and Brenna to talk ninja training, racing, owning her own gym (Ohio Movement Lab) and why there is such a large Christian presence in the ninja community. Plus, Evan asks some Christmas trivia you can take with you to a family function. This episode brought to you by Atomik Climbing Holds. From the ninja course to the OCR event, Atomik has the tools you need for success including rig grips, rock holds and now balance trainers. Ep 72: Wesley "Dr Redtights" Kerr joins Brenna and Evan on this episode to talk about World's Toughest Mudder. Wesley and Evan finished first in the team category as Team Atomik after winning the sprint lap. Brenna leads the interview as the group talks strategy, opinions on the new Atlanta venue, thermoregulation, fueling, plans for 2019 and more. Episode brought to you by Atomik Climbing Holds, makers of rig grips, climbing holds, balance trainers and more. Anything you need to get ready for OCR or Ninja training can be found at Atomik. Don't miss their Deals of the Day section on their website where they add free holds to your order. Ep 71: We managed to pull Brenna "Red Beast" Calvert away from her jobs and OCR world travels to talk Conquer The Gauntlet. Evan and Brenna talk 2018 CTG races, changes to Conquer The Gauntlet coming in 2019, Conquer Youth, Conquer Fitness and obstacle difficulty. Plus, all listeners get invited to Brenna's house after the Conquer Fitness Pro Team takeover the weekend of December 15th. Finally, Evan talks The Hammer Race which is an OCR while carrying a 8 lbs. sledge hammer. Episode brought to you by sponsors of the CTG Pro Team. 70: Ep Master's power couple and Conquer The Gauntlet Pros Doug Snyder and Lisa Nondorf join Evan to talk about their experience at OCR World Championships. The group talks 3k, 15k, Team Race, obstacle difficutly and what it's like to travel/race overseas. Episode brought to you by Wreck Bag, use code CTGPROTEAM10 for 10% off your order of the official weighted bag of the OCR World Championships. Ep 69: Multi-time Podium finisher at World's Toughest Mudder and one of the only men to earn the coveted orange jacket (100 miles at WTM), Kris Mendoza joins Evan with guest cohost Leah Hensley to talk World's Toughest Mudder. Kris talks his training, how he went from 50 miles to 100 in two years, how he got his sick rap skills and why he wears a cookie monster outfit sometimes. Plus, a couple of shoutouts to our favorite shoes, Merrell. This episode is brought to you by Atomik Climbing Holds, makers of the best tools for ninja, OCR, pegboard, rig and now balance training. Don't miss Team Atomik, Wesley Kerr and Evan Perperis at WTM 2018. Ep 68: American Ninja Warrior (ANW) Las Vegas Finalist and the man with the best beard in OCR, Phil Hucke, joins Evan and special cohost Leah Hensley in this episode. They talk ANW, what it is like behind the scenes, training for OCR vs. Ninja, beard maintenance and Phil's experience at the recent military themed WAR X challenge in Ohio. This episode is brough to you by Atomik Climbing Holds, the makers of the best OCR and ninja training tools in the world. Also in this episode is a special chance to win a free pair of MudGear socks. Listen, share and tag MudGear for your chance (make sure your share is public). Winners will be announced first week of November via live stream on S&S Facebook page. Ep 67: Jared Renyer from JRen Fitness is back for the post-Endure The Gauntlet discussion about what are the physiological effects of Ultra-OCR. Evan and Jared talk through body fat composition, blood test results from InsideTracker, DARI functional movement test and VO2max test. Plus, they talk about the "magic" of copper fabric gloves. This episode is brought to you by InsideTracker, blood test results to improve your fitness from begginer to pro athlete. If you are investing in training and racing, take the time to invest in your health and see what's going on inside your body. Ep 66: Hammer Nutrition sponsored Anders Jakobsson joins Evan to talk about his transition from powerlifting to marathon swimming (swims over 10k in length). Included in this episode are fueling strategies, the "everest" of marathon swimming, training schedules and lesssons learned that can be applied to Obstacle Course Racing. Episode brought to you by Hammer Nutrition, use ref #240887 for 15% off your first order. Ep 65: Tattooed OCR Pro Jamie Stiles, known for her 10 podiums at Savage Race and world class performances at OCRWC and North American OCR Championships, joins Evan and cohost Conquer The Gauntlet Pro Ashley Samples. They talk about Jamie's figure compettitor days, how shes uses Crossfit now, why she loves Savage Race, MIT Tough Team and more. Plus, the group shares tattoo stories. Ep 64: Former cage fighter Michael Adsit joins Evan to talk about what it was like being the the early days of a sport. He takes us through his cage fighting career of no holds barred fighting of what would eventually morph into the sport of Mixed Martial Arts. Long removed from his career in cage fighting, Michael has recently found the new sport of OCR. Episode brought to you by Inside Tracker. Invest in what is going on inside your body so you know how to maximize your health and performance at races. BONUS EPISODE 2: Gold Star (military) widow Jenna Ferrell joins Evan to talk about what it is like to lose your new husband in combat. After going to college together CPT Jonathan Grassbaugh, Jenna's husband, deployed to Iraq and was killed on April 7, 2007. Jenna and Evan talk through memories of Jon and how she was able to move forward with her life after such a horrific event. This is a bonus episode and very lightly touches on OCR. Episode brought to you by Folds of Honor, providing scholarship money to children whose parents were WIA/KIA in US Military service. Ep 63: MudGear's John Penland, the future of OCR, joins Evan to talk about his training, what it's like being an elite athlete as well as a high school student and how he plans on taking things to the next level. He shares some major goals with us and who we should keep an eye out for in the future of OCR. 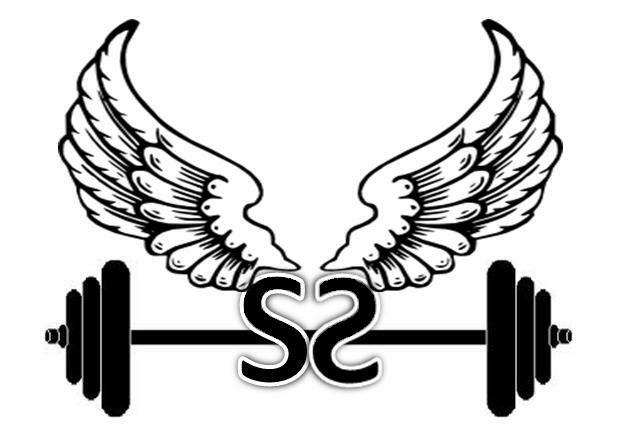 Episode brought to you by SOFLETE, Special Operations Forces Athletes providing you with nutrition products, training plans and apparel to take you to the next level. 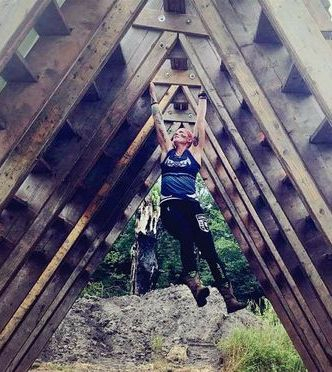 Ep 62: 14xSavage Race winner Rachel Corigliano joins Conquer The Gauntlet Pro Team's Ashley and Evan to talk about their experience at Nortth American Obstacle Course Racing Championships (NORAM). Additionally, they talk how to keep your band at obstacles, if NORAM was too hard, too easy or just right, how to train with a fitness focused partner and a new baby. Plus, Evan provides the answer that describes everyone’s opinion of appropriate obstacle difficulty and shares his guilty pleasure movie. Ep 61: Conquer The Gauntlet Pro and Mud Run Guide's Matt “The Mudder” Willis joins Evan for an all North American Obstacle Course Racing Championship episode after their recent 2nd place finish in Pro Coed. They talk opinions of the event and how Matt started working for MRG. Stay tuned for a special nerd out segment at the end and may the force be with you. Ep 60: Jared Renyer of JRen Fitness talks with Evan about the Science of Suffering. Pre-48 hour Endure The Gauntlet, Evan went through a battery of tests including Inside Tracker's blood test, a movement test at a several hundred thousand dollar lab, a bodyfat analysis, submax VO2max test and general fitness test. Get your pocket protectors out, Evan and Jared nerd out in this episode....plus Evan asks to be an extra in Planet of The Apes. Episode brought to you by JRen Fitness providing personal training for everyone from those looking to lose a couple of pounds all the way up to pros training for that top step of the podium. Ep 59: TMX and Broken Skull Ranch competitor Jason Goggins joins S&S owner Evan Perperis and S&S Development Team Athlete Leah Hensley on the podcast to talk about the permanent obstacle course race facility he owns, Black Diamond Obstacle Course in Ohio. Additionally, they talk his recent race at Mud Ninja, his competitive plans for 2018 and how his facility will host the DRX Games. Ep 58: Strength & Speed Development Team Athlete Sam Oleskey joins Evan on the podcast to talk about her recent wins at the final 24 hour Shale Hell event and the final 24 hour Dirt Runner event only a week apart. Shale Hill has one more event in February, their Polar Bear Race. Dirt Runner is taking their operation mobile and will continue to put on races just no longer at the permanent facilty in Marseilles, IL. They talk nutrition, training and recovery, which was especially important because she won the two races ONE WEEK APART! We also talk about her recent qualification as an Elite Contender for World's Toughest Mudder. Ep 57: Green Beret Challenge Pro Lance Johnson joins Evan to talk about GBC's full line of events from their one man OCR race, their four man team race, as well as their 12 and 24 hour challenges. Additionally, they talk other military themed races including GoRuck and the local Louisiana based race Battle Races. Plus, Evan shares some of his knowledge from his recent RockTape certification. This episode is brought to you by RockTape, more than a tape company, they are a movement company with a full line of products and resources to keep you going stronger for longer. Ep 56: Former Terrain Race build crew and Spartan Pro, Victor Quezada joins Evan for this podcast talking about his race career and the Conquer The Gauntlet Team race in Oklahoma City (won by Strength & Speed). Brenna remains absent but is sure to be upset as we talk about her favorite topics, Broken Skull Ranch, build crew and CTG. Plus, Link Endurance cohost Miles Keller invites himself into another hysterical episode and everyone shares some of their deep dark secrets. This episode is brought to you by Hylete, makers of amazing OCR backups and the most comfortable athletic gear available. 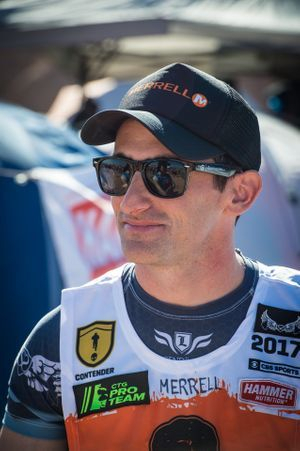 Ep 55: Former Ultra-Mountain Biker turned OCR athlete, Justin Lund, joins Evan to talk about his experience as a cyclist, how he manages to PR his short distance running races every year and his recent experience at the Red Bull 400. Additionally, we talk uses of mountain biking for OCR cross training, fueling strategies, dealing with saddle soreness and future plans. Episode brought to you by FITAID, the recovery drink of choice by OCR athletes in the US and now a proud sponsor of Endure The Gauntlet. Ep 54: Death Race finisher and Conquer The Gauntlet Pro Christina "HB" Armstrong joins Evan to talk about her experience at the Death Race. She shares her tips, tricks and suggestions for those getting ready for the next Death Race scheduled for July 11th (not June like is accidentally stated in the podcast). After "Honey Badger" shares her experiences and stress of how to have a successful OCR marriage. Plus, Evan accidentally shares his favorite TV show. This episode brought to you by Neptune Performance heated shirt. Our favorite Ultra-OCR shirt great for racing, camping or just staying warm. Ep 53: Evan and Brenna catch up on this episode of the S&S podcast. They talk about their off-season including dealing with a loss in motivation and how Evan hurt himself walking on a rolling PVC pipe (no it's not what you think). Then they get into early races including Evan's 100 mile treadmill run, 2xToughest Mudders (UK & MI) and Terrain Tulsa. Brenna shares her experiences at the final Battlegrounds, Savage Race and of course, the first Conquer The Gauntlet of 2018. This episode is brought to you by Elite Ops Energy Strips. Each strip provides 100mg of caffeine with no calories making it a perfect modular solution to boostin performance mid-race or just staying awake throughout the work day. 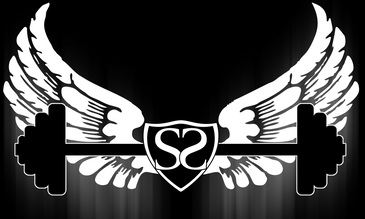 Use code SS10 for 10% off your order. Ep 52: Spartan Pro and World's Toughest Mudder Champion Rea Kolbl joins Evan to talk about her training and future plans. Hear about Rea's bucket list races, Evan's bold prediction, the difference between Spartan Pro Team premeire vs. select, the series she is focusing on for 2017 and how her gymnastics background played a role in her OCR performance. To learn more about Rea and her training pick up a copy of Mud Run Guide's Ultra-OCR Bible. Episode brought to you by Fat Gripz. If you are an OCR athletes that trains with weights, you need to pick up this grip strength tool. Ep: 51Conquer The Gauntlet Pro Lisa Nondorf joins Brenna and Evan to talk about her career as a professional high diver, which includes a 35 ft. dive while on fire and a jump off a 10 story platform. Plus, they "dive" into her recent 1st place races including Dirt Runner's Midwest Mayhem and Vanguard Race. This epsiode brought to you by Atomik Climbing Holds, the best training tools for OCR and ninja training. Ep 50: Listener's send in questions and host Evan Perperis provides answers. Topics include: What race series should be addded to a bucket list? #1 mistakes OCR athletes are making, when to run part of the 48 hour long Endure The Guantlet, talking about overtraining, how to bounce back from three races in a row, what to look for in a personal trainer, worst approach to in season training, layering/clothing for Ultra-OCR and more. Ep 49: Conquer The Gauntlet Co-owner David Mainprize joins Evan to discuss his latest project including Conquer Youth, the only race series just for kids. Additionally, they talk the future of CTG, Conquer Fitness (CTG's gym in Tulsa, OK) and how Conquer Youth is vital to growing the sport of OCR in the midwest. This episode brought to you OOFOS. After a hard day of racing, training or taking your kids to Conquer Youth, nothing will feel as good as OOFOS recovery sandals. Ep 48: Para-Olympian Dan Kosick talks about his training with skiing, his experience with Newbsanity's Obstacle Course Racing crew and how he earned his 50 mile brown bib at World's Toughest Mudder. Plus, Evan may have started off the podcast putting his foot in his mouth (pun unintended) and gives a shout out to MudGear. This episode brought to you by Health IQ. Safe drivers deserve lower rates on Health Insurance, so athletes deserve lower rates on life insurance. Click the link and see if you qualify today. Music courtesy of Marc Capaldo of Madison Ambush. Ep 47: Major League Eater Derek Jacobs, who also does OCR in his spare time, joins Evan for a comparison of the two sports. Derek talks about competing at Nathan's Hot Dog Eating World Championship, how his body can handle that much food, his training, his recovery and more. Additionally, the two talk about the future of Major League Eating and how the sports governing body relates to OCR. Episode brought to you by Health IQ. Safe drivers deserve lower rates on Health Insurance, so athletes deserve lower rates on life insurance. Click the link and see if you qualify today. Ep 46: Jay Flores talks about his day job inspiring young minds in STEM (Science Technology Engineering Mathematics), how he became Master of the Rig at OCRWC 2017, how he sets goals (such as joining the Conquer The Gauntlet Pro Team) then how he followed through and his experience racing at the Warrior Race in South Africa. This episode brought to you by Health IQ, securing you lower rates on life insurance for being physically fit. Ep45: 3rd place finisher at Tough Mudder X, Kevin Righi, joins Evan to talk about his training leading up to an epic finish at the first TMX event, his plans for 2018 and how Crossfit relates to OCR training. This episode brought to you by Health IQ, a life insurance company getting you the rates you deserve by saving athletes money. Ep44: Ultra-OCR athlete and owner of Adriane Alvord Dressage joins Evan and Brenna for a episode full of laughs. Adriane talks about dressage the lessons learned from a surprisingly dangerous sport and how it translates to OCR. Brenna and Adriane also discuss upcoming TV shows as well as historical performances in BattleFrog including the one and only BFX 24. This episode brought to you by Health IQ. As an athlete you deserve better rates on life insurance, click on the link to find out if you qualify for savings today! Ep43: Founder of OCR World Championships, Adrian Bijanada, joins Evan to discuss the plethora of OCR acronyms and the future of the sport. They discuss the recent creation of the American Obstacle Course Racing Association, if the International OCR Union is still around, how he views Obstacle Sports Racing Federation and more. The episode ends with Adrian providing teasers of his three championship events, Enduro 24 in Australia, NORAM in Vermont and OCRWC in UK. This episode is brought to you by Health IQ, as an athlete you deserve lower rates on life insurance. Click on the link and find out if you qualify for savings today. Strength & Speed Dev Team and Battle Corps Athlete Christopher Balven joins Evan to talk about their first race of 2018, The Abominable Snow Race in Lake Geneva, WI. Also in this episode Chris talks about Dirt Runner's DRX Games (an OCR Skills competition in Marseilles, IL), the expanding local OCR scene in Wisconsin Area (Highlander, Frontline) and the first OCR buyout of The Battlegrounds. Evan chimes in with his solution to bigger brands buying up local venues. This episode is brought to you by Health IQ, a life insurance company giving you the rates you deserve as active people. Intro from Marc Capaldo of Madison Ambush. Bonus 1: Winter Olympics Special: In our first ever bonus podcast, NorthmanRace's Marco Bédard joins Evan to talk behind the scenes at the Winter Olympics. As a biathlete at the 2010 Vancouver Winter Olympics, Marco had a behind the scenes look at the experience, the training, the support, the ceremonies and he even shares some thoughts on the wild post-Olympic parties. This episode brought to you by dryrobe, pick up the world's most advanced changing robe so you can #staywarm this winter. Ep 41: Hybrid athlete, Tough Mudder X Champion, reigning Broken Skull Champion and former BattleFrog Pro Corinna Coffin joins Evan and Brenna to talk how she trains to win everything from Crossfit competitions to top level Obstacle Course Races. Also, Brenna gets her first taste as solo podcast host halfway through the episode. For more information on Corinna and her training read about her in an interview in the back of "Strength & Speed's Guide to Elite OCR". This episode brought to you by Health IQ. If you are an athlete you deserve lower rates on life insurance and Health IQ can help. Ep 40: Nutritionist and Strength & Speed Athlete Luc Labonte joins Evan for a discussion on popular diets and the benefits/negative aspects of using them for an OCR athlete's diet. If you enjoy this episode don't miss the S&S articles section of the website which includes several articles by Luc with another one publishing next month. This episode is brought to you by Rock Tape, the kinesiology tape designed for the rough conditions of OCR. Episode brought to you by Oofos, feel the oofoam and treat your feet with recovery sandals. Intro/Outro courtesy of Marc Capaldo from Madison Ambush. Ep 38: Owner of Binghamton, NY's permanent OCR facility Newbsanity, Jarrett Newby joins Evan for an episode talking about lessons learned from motocross that can be applied to OCR, his top ten finish at both 3k OCR World Championships and the 24 hour long World's Toughest Mudder and Newbsanity's Worst Birthday Ever. Worst Birthday Ever is kind of like Death Race but you are treated the worst and your family/friends can watch. Plus, Jarrett shares his tradition of his off podium finisher pictures. Episode brought to you by dryrobe, it's freezing this year, #staywarm with the world's most advanced changing robe. Great for use as pre/post race, as a winter coat, as a blanket in your own house or as a portable changing area on a hot race day. Intro/Outro from Marc Capaldo of Madison Ambush.